We had the most amazing time at Leeson house. 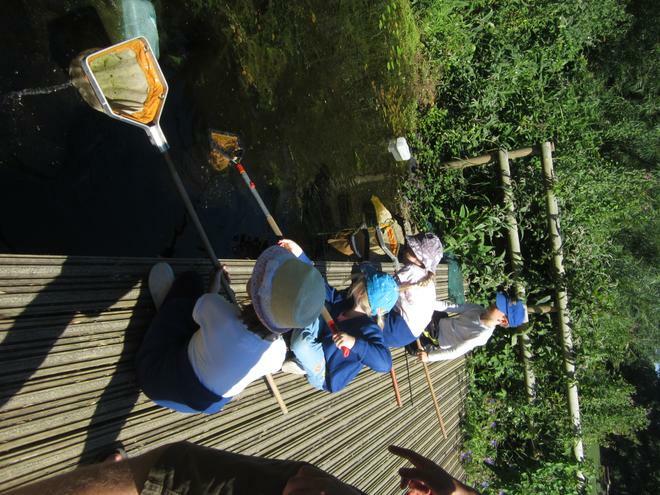 We had a go at pond dipping, orienteering, animal tracking and minibeast hunting. 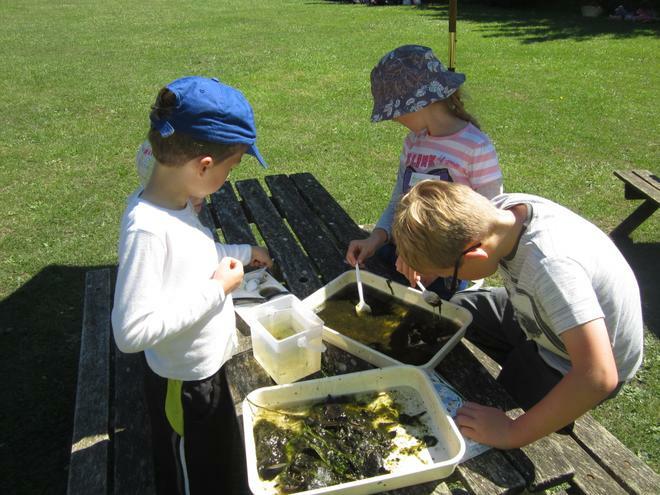 It was wonderful weather and the children had a fantastic day! 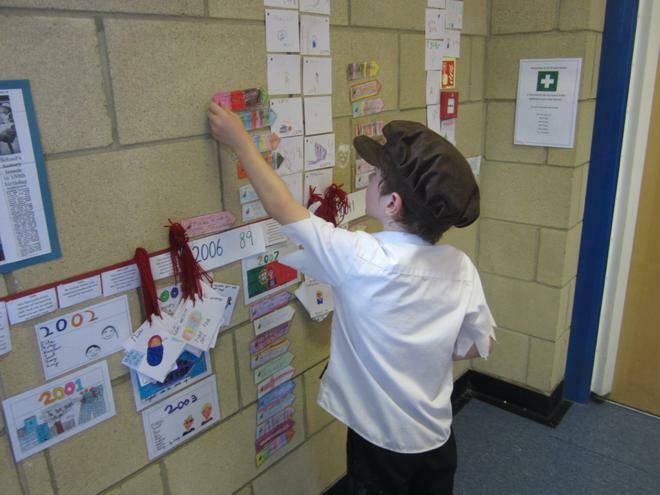 We celebrated the school 175th birthday by dressing up as Victorians and coming to school for a Victorian day. 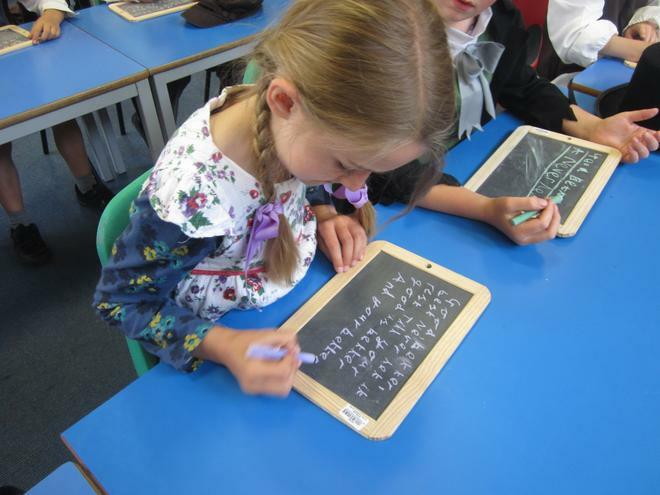 We wrote on slates, chanted poetry, produced sepia photographs and silhouettes. It was a great day! A MASSIVE THANK YOU to everybody who bought our sunflowers after school today. 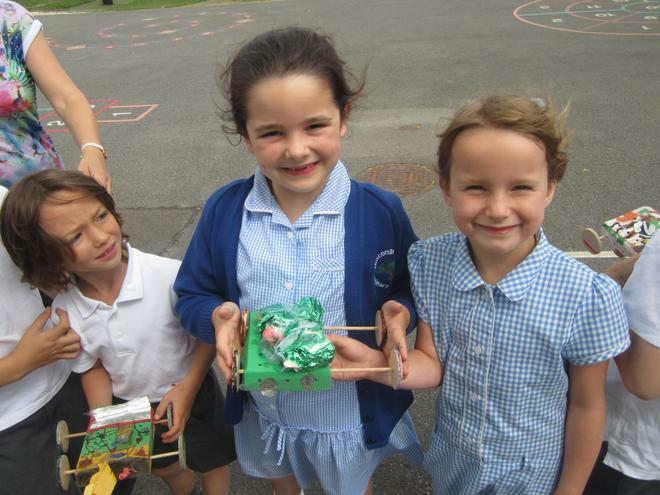 We had amazing fun selling them and have raised over £20 for The Dorset Wild Life Trust Charity. We have written to them explaining our project! 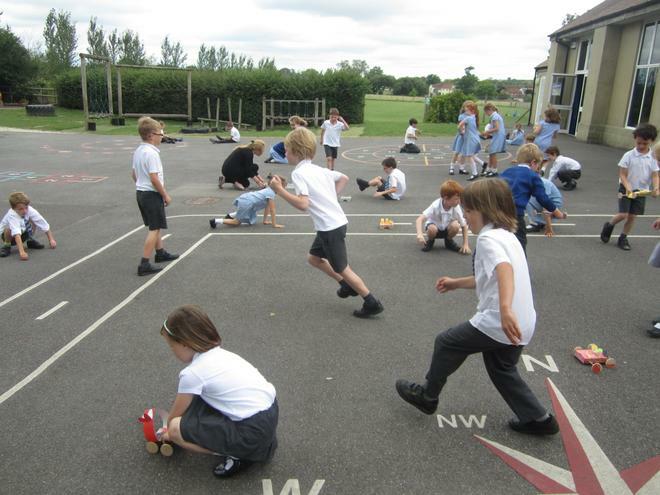 In science we have been looking at sound and how sound travels. We conducted an experiment to discover which material was best for blocking sound! So we made earmuffs! Year 2 and Year 5 visited Streetwise in Bournemouth earlier this week. 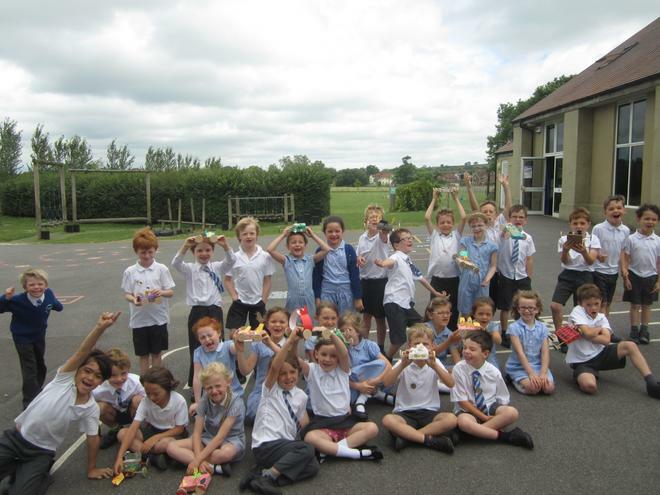 The children had a wonderful time learning about safty in our life-sized model village! 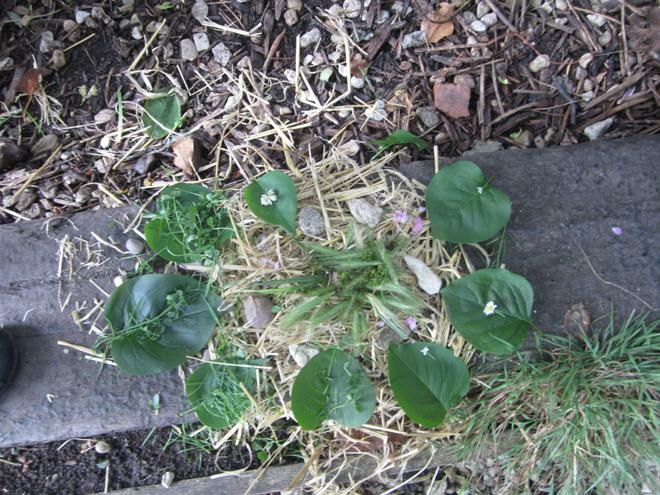 We have planted sunflower seeds in preparation for our Enterprise this term. We will wait until the seeds have grown and then we will have a plant sale. 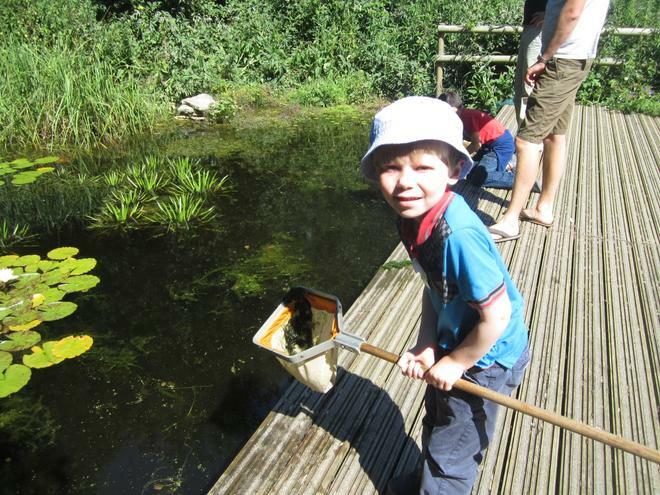 The money raised will be donated to the Dorset Wildlife Trust charity. We have been drawing different nocturnal animals, using pastels and charcoral. They look so fantastic! We had lots of fun on our Easter Egg hunt! We then went to the church for our Easter Experience Trail which helped remind us about the Easter Story. For Sports Relief we skipped for 2 minutes and then skipped again a week later to beat our own score! We had some very small, woolly visitors in school! 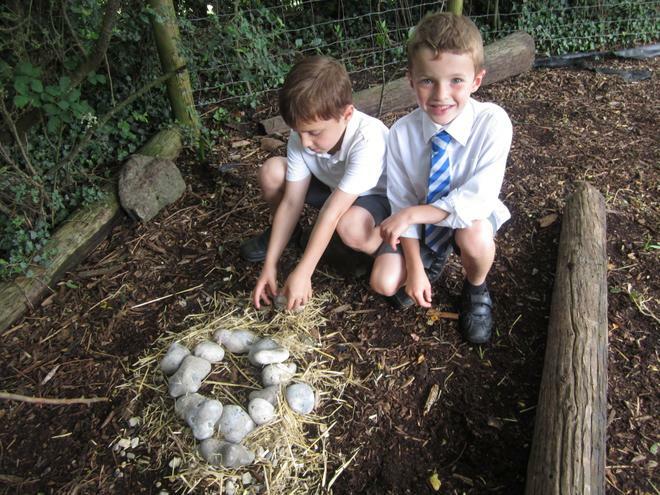 In preparation for our story writing, we went digging in the school field to see what we might find! 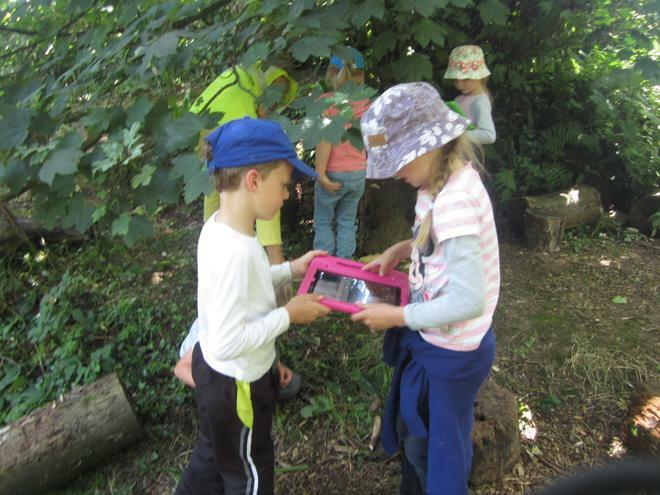 We found lots of worms, rocks, clay, wood and we even found a old forgotten chocolate coin! Well done to our fantastic football team! We had enormous fun playing against Port Regis! 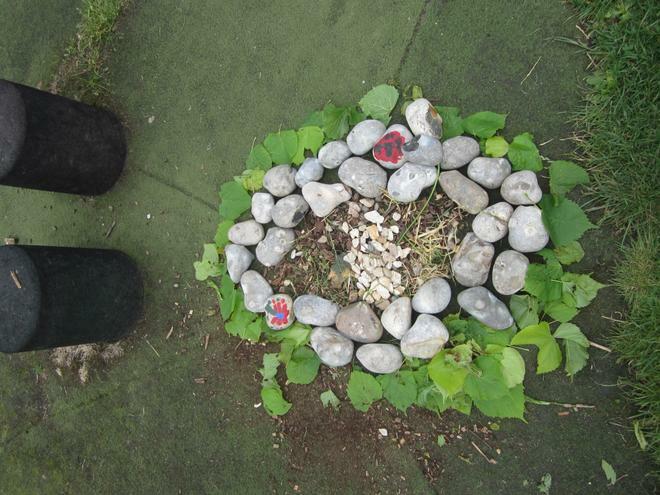 Science Investigation week began with a letter from the friendly ice trolls who wanted to come and visit our school. 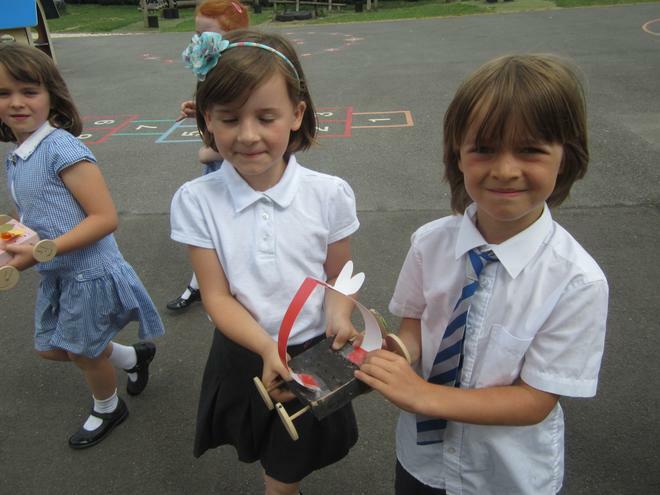 We had to investigate different materials to see which would be the best to keep the trolls cool. We found out that newspaper was the best insulator and kept them cold! 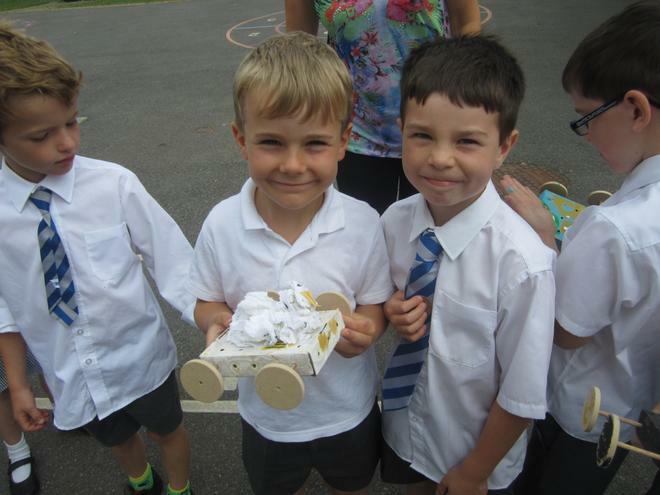 The children used papier mache to make a volcano. 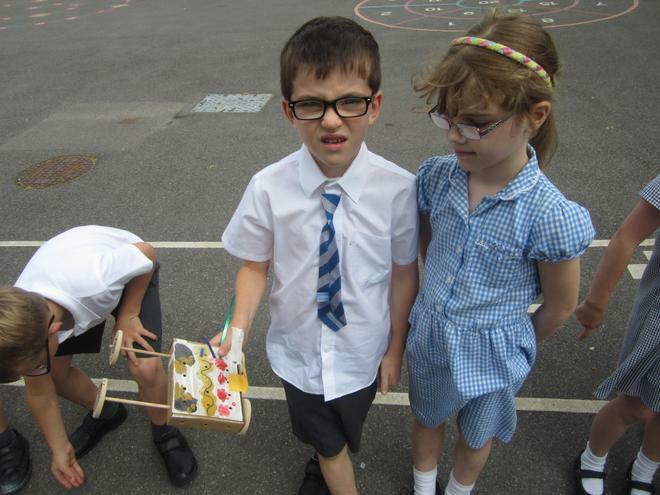 We then used vinegar and bicarbonate of soda to make the volcano erupt! We had a visit from Mere Down Falconry. We were so lucky to see their barn, tawny, little and African spotted eagle owls. It was such a fantastic, up-close experience! 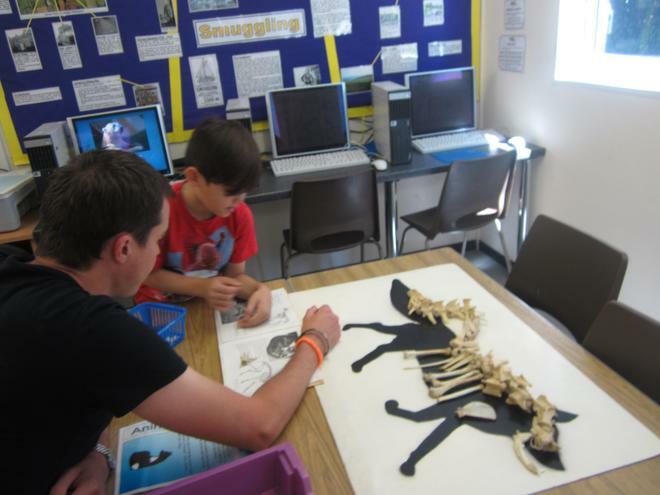 We asked lots of interesting questions and learnt so much about these beautiful creatures! We had great fun at our Junk Drumming Workshop! We learnt about call and response and staying to a beat. 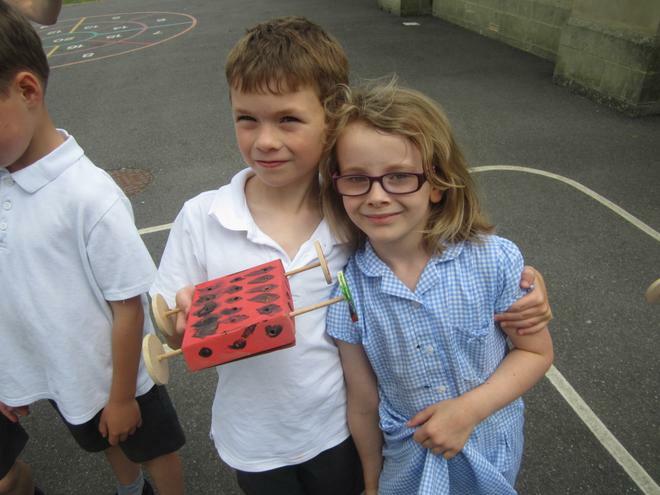 We used unusual recycled objects. This term, the Year Ones have been given the opportunity to try trampolining at Port Regis School. They had enormous fun having a go! We had enormous fun in our Christmas play - Shine Star Shine. Thank you to everyone who came to watch! Well done to the Robin Class football team who played a friendly match against Port Regis on the 21/11/13. It was pleasing to see the enjoyment the children got from the match! 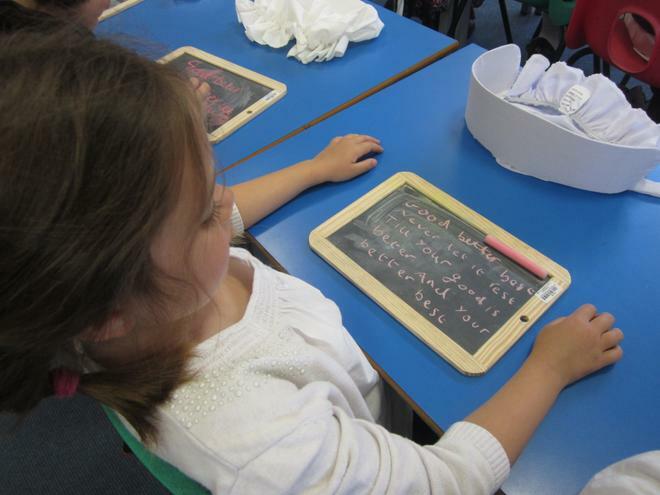 In Literacy we have been writing instructions for 'How to make a milkshake'. Of course we had to have some practical experience before writing! 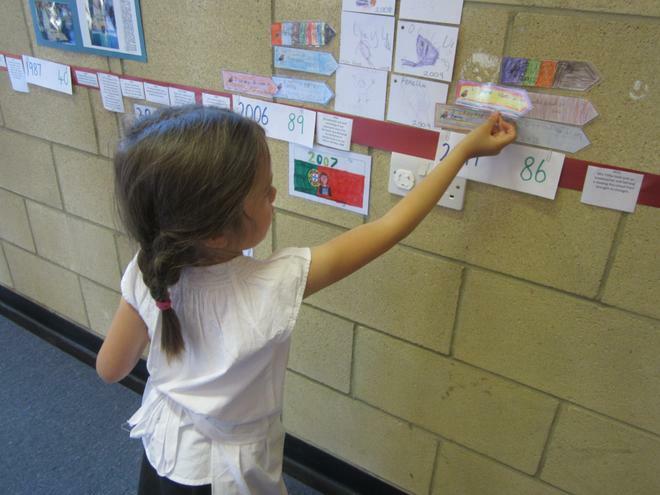 We have been looking at telling the time in Numeracy. We thought it would be fun to use stopwatches to time how long it would take an 'Ice Hand' to melt! 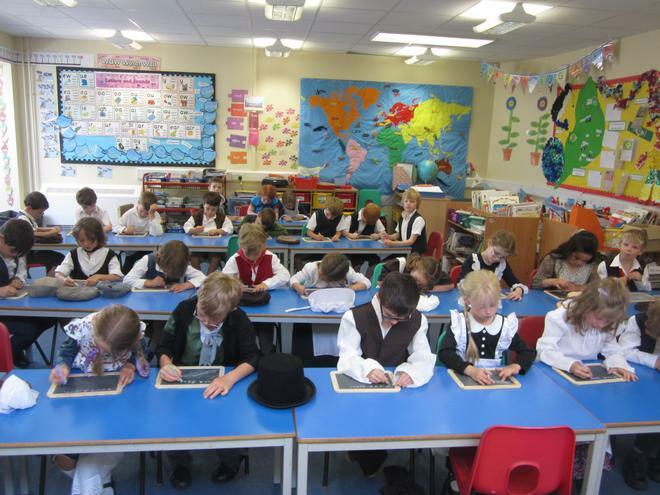 For Remembrance Day we all created poppies using 'Paint' on the laptops. We also created a large poppy out of collage material. Robins had a wonderful time at our banquet. Thank you to everybody who came and a big thank you to Mrs Taylor and Mrs Young for the fabulous dancing! We had archers visit our class. They talked about different types of arrows and bows. We even had a go at shooting the arrows! We went on a class trip to Old Wardour Castle. We had a photograph hunt, dressed up in costumes and had a fashion show! We had great fun exploring Wardour castle! During our first week of school we learnt about our right for clean water. We tried to carry some heavy buckets to see how it feels! We even tried to filter dirty water. 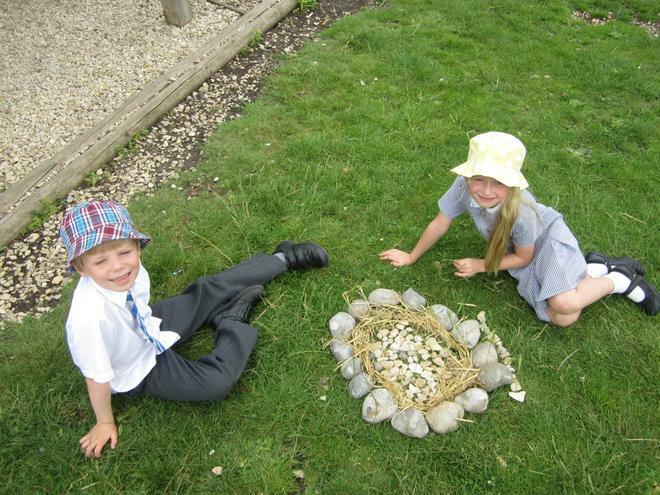 We made a class 'web' to show how we can all work together.